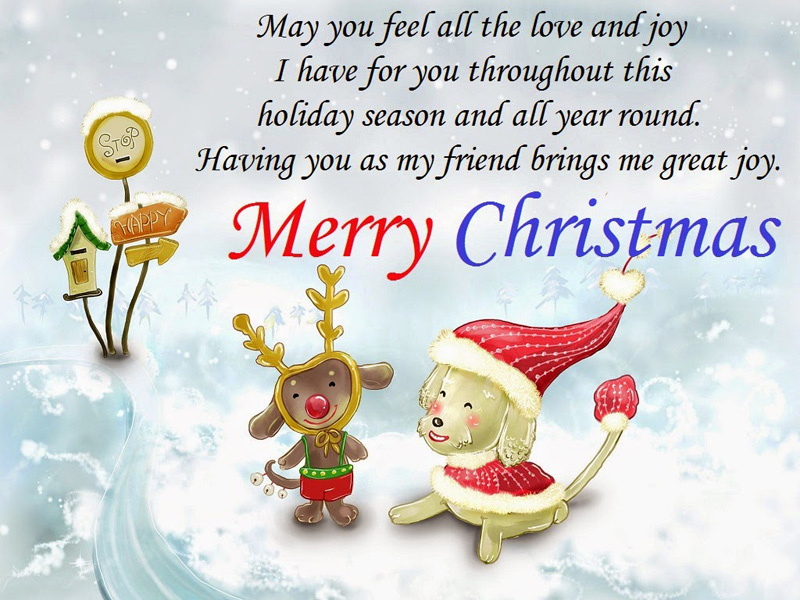 Christmas Day Wishes For Friends : Hey, it’s again Merry Christmas and time to celebrate with friends! Though this occasion is enjoyable with all relations but most with friends. 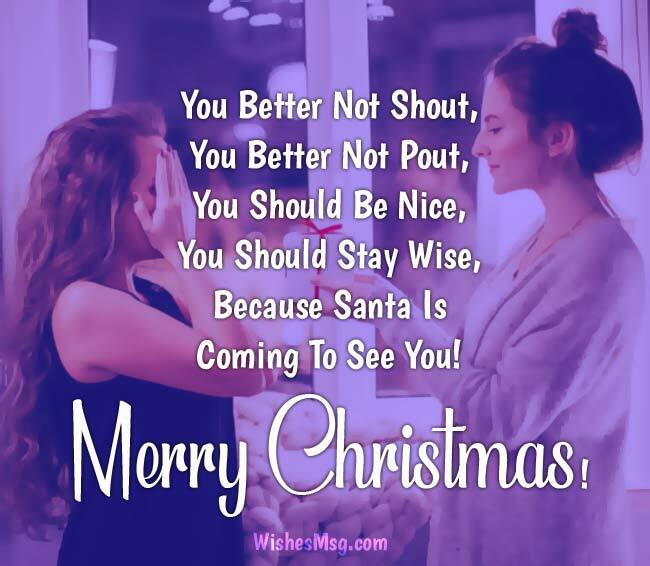 On this joys occasion of Merry Christmas, shower your friends with best Christmas messages to show that you care for them and you haven’t forgotten them at all. 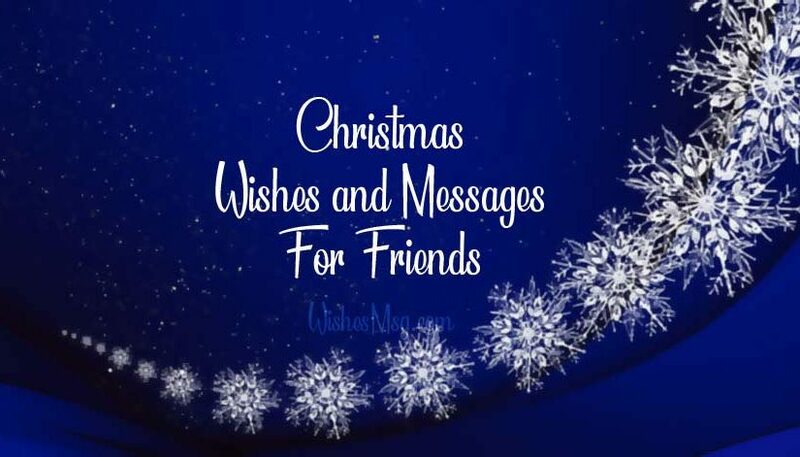 Scroll down and choose to send a perfect message from our awesome Christmas wishes for friend collection. 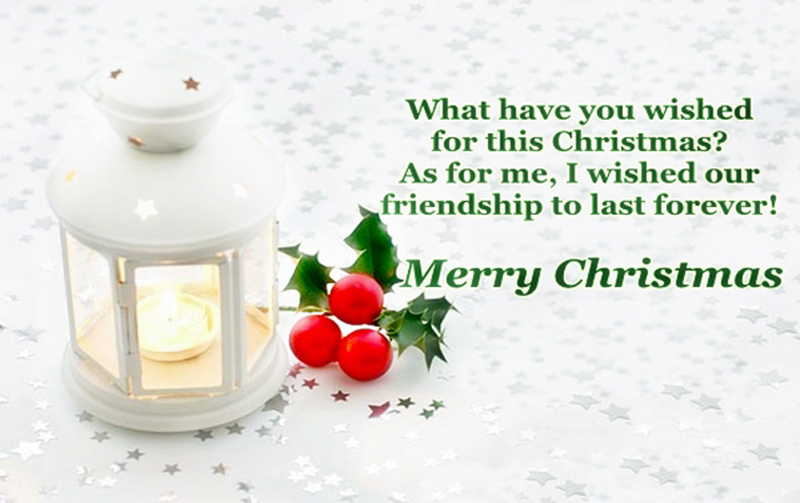 You may share your Christmas wish on your Facebook, Instagram profile with tagging your best friends. Christmas is all about spending time with friends and family and creating memories that will last forever. Let’s celebrate this wonderful occasion of this season. Merry Christmas my dear! Christmas is the time to be showered with love and blessing. I hope Santa will bring the best for you because you deserve it. Wishing you Merry Christmas! Merry Christmas to my friend who knows all the secrets of mine and knows very well what I like and what I don’t! You are the biggest blessing of my life! I remember how I prayed in my childhood for having a best friend in life. I didn’t know my wish would come true someday. Merry Christmas my friend! Wishing you a happy, healthy and colorful life in this Christmas. Enjoy every moment with your family, friends and your loved ones. Merry Christmas! Best friends are no less than a family. You are one of my best friends in life. I love you just as much I love my family. Merry Christmas! Friends always love no matter how much flaws you have in you. I’m wishing you joy and blessing in your life my friend. The joy of this holy occasion will surely fill your life with eternal happiness. May the happiness stays with you forever. Merry Christmas! Let the lights of the Christmas guide you to success and prosperity and bring happiness and peace in your life! Merry Christmas my friend! Christmas is all about caring, sharing and eating many delicious foods! May all your wishes come true as soon as possible. Merry Christmas! Your family is lucky to have you. I am also lucky to have you as a friend. May God always protect you and love you. May your happiness and delight extend. May you feel them in the whole new year. You, deserve it, Merry Christmas, dear! Where could I find a best friend like you? Not at the North Pole, that’s for sure. 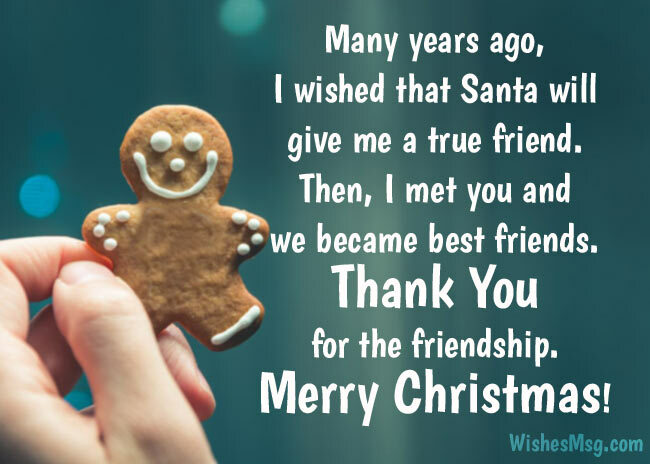 This year know that the best gift in my life is a best friend like you. Merry Christmas. Merry Christmas to the person who knows all of my secrets, knows the things that make me happy or sad. I love you my friend! Christmas carols everywhere, gift-giving here and there. Christmas is a merry-making season that will be a lot special If spent with a friend like you! Santa is in the hospital and the gift production has stopped… he almost died laughing when I told him you were good this year. Merry Christmas Buddy! It is the spirit of brotherhood in the cheer of Christmas that makes it so glorious. Brotherliness is but the manifestation of the spirit of Christ. Merry Christmas! 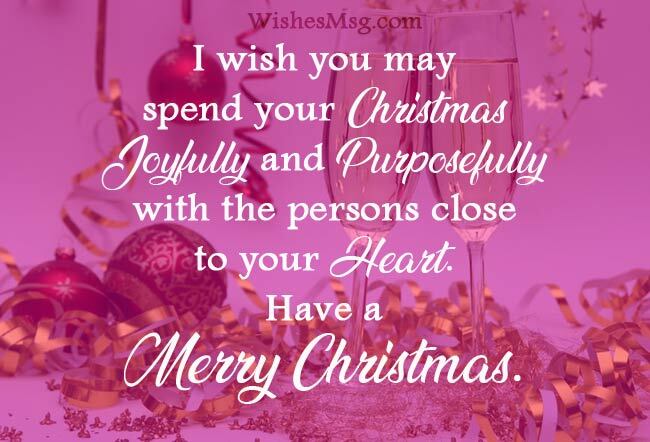 No flowers, No balloons, No cute graphics, No happy cartoons, Just a simple Christmas wish straight from my heart, May the love in our heart never ever depart! Merry Christmas! Life is partly what we make it, and partly what it is made by the friends we choose. Thank you for allowing me to choose you. Wishing you a very special Christmas! Looking at the stars, I pray that my friends and I will stay happily together from this day onward. Merry Christmas to you all! I bought you the most amazing wallet as a Christmas present, but then I thought it went well with my outfit. Good luck next year! You are a proof of how good God is. You have saved me from loneliness just like how Jesus saved us. Have a very Merry Christmas. You better not shout, you better not pout, You should be nice, you should stay wise because Santa is coming to see you! Merry Christmas! Most of my friends are normal, sane, cultured, decent, intellectual and well-behaved persons… Just want to thank you for breaking the monotony! Merry Christmas! Watch the movies you love, sing the carols from your youth, and remember to remember each minute and each hour to keep. Merry Christmas Friend! I feel like I’m Santa Claus because everything I want to do is giving the most astonishing gifts to the best people. Merry Christmas, buddy! Wishing our Friends a Joyous Christmas filled with Peace, Love, and Prosperity. Best Wishes for a Healthy New Year! This is the season to wish one another love, joy and peace. 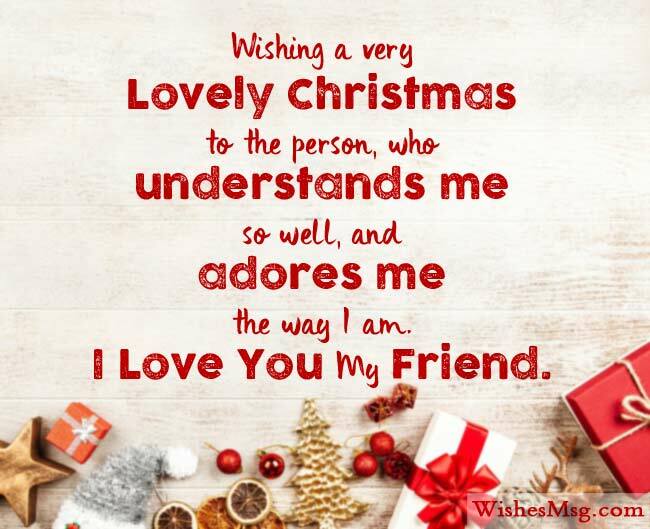 These are my utmost wishes for you, Merry Christmas my dear best friend. Christmas is in the air! Wishing you all the joy, hope and wonderful bear, enjoy the fun of the season. Merry Christmas! I love you as my friend. I wish that for this season, may you be the same person that you are. May you be blessed with more people that will appreciate the real friend in you! Hope, you have enjoyed all the above Christmas messages for friends and best Christmas wishes, stay with us for further more updates of Merry Christmas wishes, thanks for visiting us!